Why does that water look so dirty? 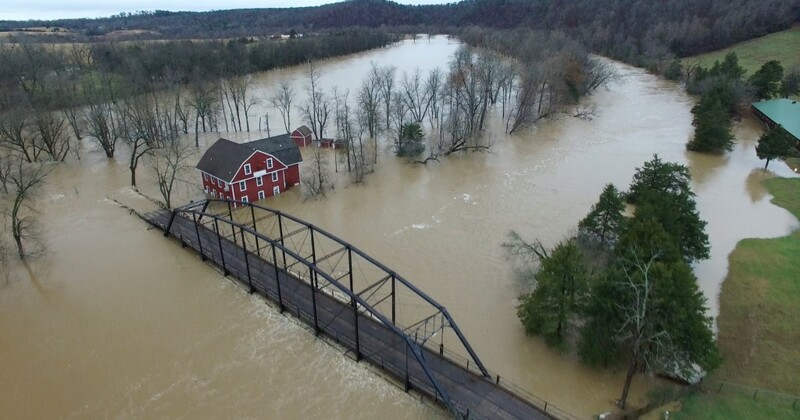 Just a few weeks ago Northwest Arkansas became flooded after 10 inches of rain fell across the area. People flocked up to Beaver Dam for the rare sight of water spilling through the gates while others took the opportunity to capture breathtaking photos such as the one above. One unifying theme in all of the flood waters was mud! These water bodies, War Eagle, West Fork, the White River, and others, don’t usually appear this muddy to us. Perhaps since this was an extremely high flood event, we don’t think about mud in water being a problem. But the mud, or sediment, in water is a problem. In fact, sediment is considered the number 1 water pollutant in water! What’s the problem? It’s just mud! Sediment knocks two punches into lowering water quality because it is a pollutant and it is also a carrier of pollutants. Sediment as a pollutant can cause harm to aquatic life including fish and macroinvertebrates. It can get caught in the gills of these animals, smother their habitat and breeding areas, and reduce the availability of food. Water bodies with high levels of sediment may have higher temperatures due to increased absorption of sunlight. It also costs more to take sediment out of surface water that is treated for drinking water. For example, on Monday, December 28, 2015, near the peak of the flood, the Beaver Water District extracted 136 tons of mud or sediment from the water it treated. That’s about six times more than the usual 22 tons! As a pollutant carrier, sediment can deliver increased nutrients, bacteria, and chemicals to waterways. Those pollutants can adsorb or attach to sediment particles. Once those sediment particles are detached from the surface of the earth, anything attached to them goes along for the ride, often ending up in the nearest waterway. For example nutrients found in fertilizers, wastes and manures, and some cleaners, will get into the water after being attached to a soil particle! While natural erosion produces nearly 30 percent of the total sediment load in the United States, accelerated erosion from human use of land accounts for the remaining 70 percent of sediment that goes to our surface waters! Sediment pollution causes up to $16 billion in environmental damage annually. Our friends at the University of Arkansas Cooperative Extension Service provided this short video to demonstrate some ways that sediment and anything attached to sediment can get into our surface waters. Turbidity is a measure of the amount of suspended sediment and visible particles in a sample of water, or essentially, turbidity measures the cloudiness of the water. So clear water has low turbidity (beaker on the left) and water with high turbidity is more opaque (beaker on the right). We want our waters to stay clear in order to keep ourselves healthy, our aquatic life healthy, and our water healthy! What can you do to keep our waters clear and mud free? Build a Buffer – Avoid mowing within 10 to 25 feet from the edge of a stream or creek. This will create a safe buffer zone that will help minimize erosion and naturally filter stormwater runoff that may contain sediment. Sweep, Don’t Spray! Sweep sidewalks and driveways instead of hosing them off. Washing these areas results in sediment and other pollutants running off into streams, rivers and lakes. No dirt in water or the streets! Notify local officials when you see sediment entering streets or streams near a commercial construction site. Sediment should never be flowing off of a construction site, nor should it be tracked into the street. Cover up the bare spots! Bare soil is endangered soil! Protect your soil and property by covering up bare spots. Use weed-free mulch when reseeding bare spots on your lawn, and use a straw erosion control blanket if restarting or tilling a lawn In gardens, put compost or weed-free mulch on your garden to help keep soil from washing away. Wash the car on the grass! Wash your car at a commercial car wash or on a surface that absorbs water, such as grass or gravel. Washing the car on a hard surface sends dirt, chemicals, and cleaners straight to the nearest waterway! 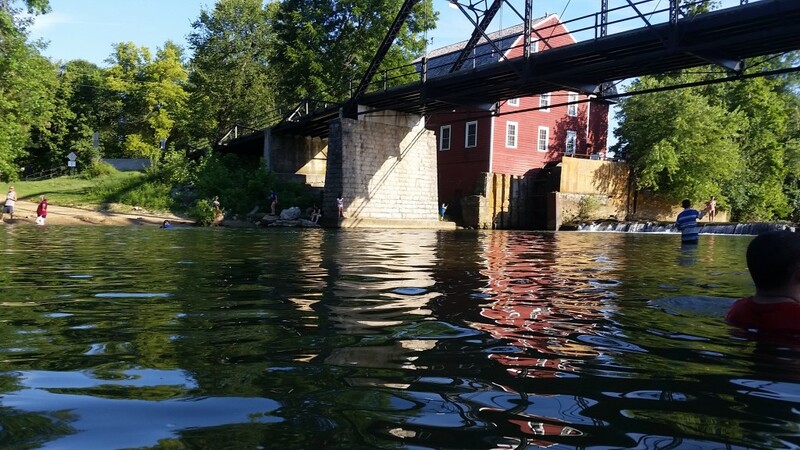 You can help keep our waters clear and healthy! Since we can’t avoid flood because of many reasons, we can still maintain cleanliness in water even if there is flood. I am so thankful for the tips you’ve given on how to keep waters clear and healthy. These are very easy to follow but I think these could be the best tips for this matter. Thanks for sharing. Copyright © 2019 Beaver LakeSmart. All Rights Reserved.